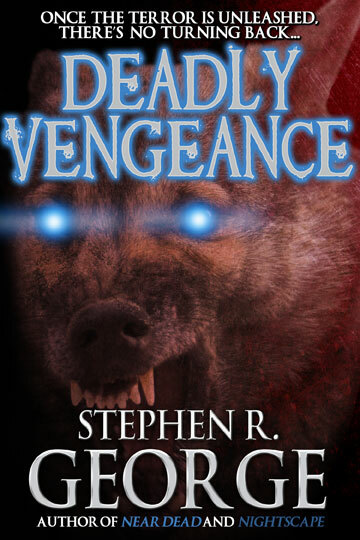 Buy Deadly Vengeance at Amazon.com. I’m happy to say that the next of my books that Crossroads Press will release is Deadly Vengeance. 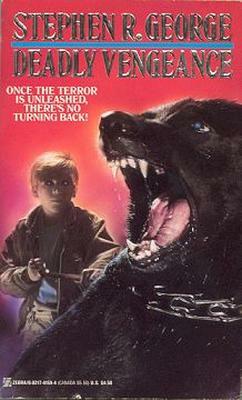 The cover, by David Dodd above, is their interpretation of Cobalt, the dog in the story. Compare to the original Zebra paperback cover below. As Zebra covers go, this one was actually fairly representative of the novel, although there are no glowing eyes in the story, as such. It remains one of my favorite books, and one of my favorite Zebra covers. Deadly Vengeance was originally published in 1993. It was the third in a four book deal I had with Zebra at the time, and my ninth book for Zebra overall. It was my first novel to prominently feature a dog. The next would be Seeing Eye. Deadly Vengeanc will cost $3.99 and will be available from a variety of online sellers including Amazon, Barnes and Noble, Smashwords and Kobo. The book should also be available at some point on Google Play and Apple iBooks.